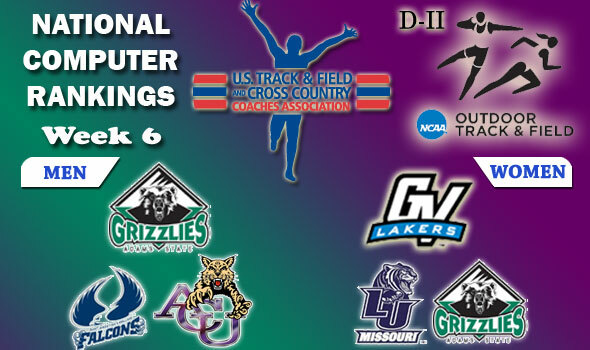 NEW ORLEANS — In the latest USTFCCCA National Team Rankings for NCAA Division II Outdoor Track & Field, the men of Adams State is holding on to their No. 1 spot in the country as they conclude the RMAC Championships today. In women’s rankings, Grand Valley State is still No. 1, but Lincoln (Mo.) moved up to No. 2 and are less than ten ranking points away from Lakers.